Double Sided Pearlescent Metallic Gold Leaf Paper. 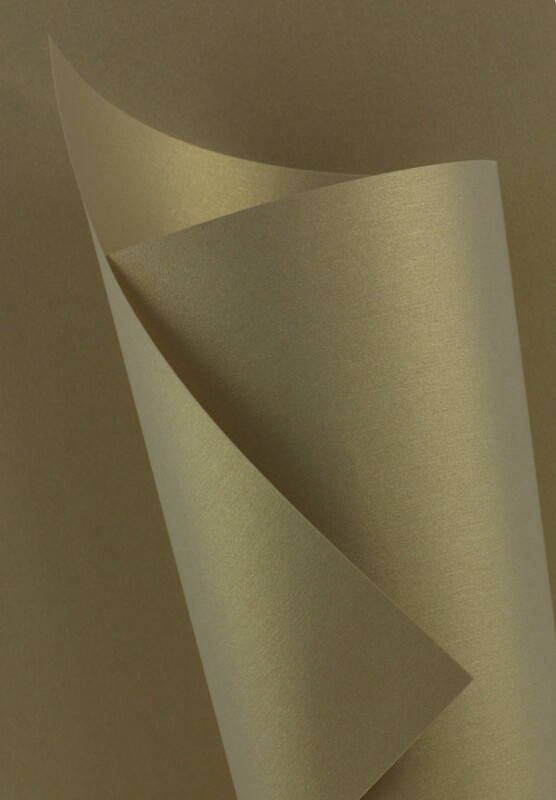 Pearl paper in a luxuriant metallic gold colour. Made from a beige pulp and fininshed with a golden pearl lustre, the paper will not show white at the edges or when torn or folded. Applications:- Ideal for printed wedding invites, place settings, gift tags or even christmas card making. Sizes:-A4 (210x297mm), A3 (420x297mm), SRA2 (450x640mm), SRA1 (640x900mm).